Google took the opportunity to show off more features of Home, its $129 answer to Amazon Echo, at its big Pixel event. 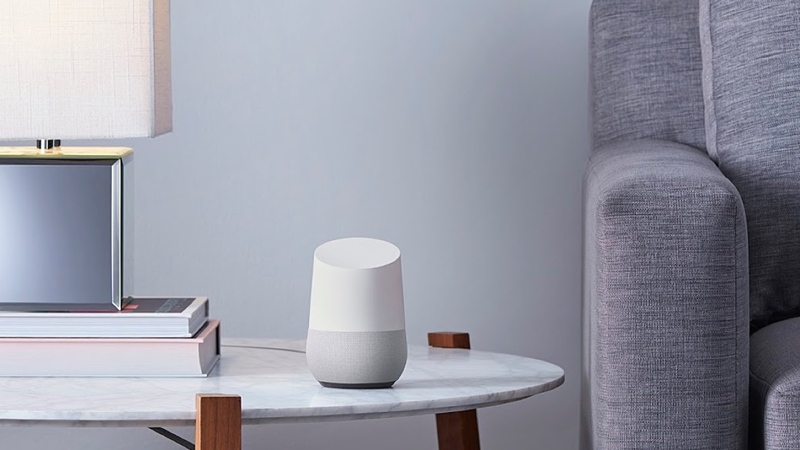 Unveiled at Google I/O 2016, the minimalist Wi-Fi speaker, previously known under the codename Chirp, is hoping to up the assistant ante with Google Assistant - also seen in its new Pixel phones. It uses the company's 10 years worth of work on natural language recognition and 17 years of innovation with search. It also undercuts the $179 Amazon Echo quite considerably in price (though not the second-gen Echo Dot). Google claims its expertise will ensure Home is able to deal with the most complex questions swiftly and accurately. For anyone with an Amazon Echo, the features are very similar. The voice activated speaker will let you ask Google about anything from facts via the Knowledge Graph and 'featured snippets' from sites like Wikipedia, to the weather. You can get instructions on how to remove wine from carpet in a conversation or ask how many Grammys Adele has won. It'll also connect with smart home devices including Nest, Philips Hue, SmartThings and IFTTT plus Google says it will be constantly adding new devices over time. That's already a pretty strong start. One of the nicest features shown off is the ability for Home to offer traffic updates delivering less congested routes to your phone. Much like Google Now, it'll learn about habits to deliver more personal responses over time. So if you look up nearby camping stores, you can say "How's the traffic?" and then "How long will it take to bike there?" Google also has plans to introduce more features at a later date including the ability to book a taxi, order dinner and order flowers. There's also translation help from the Google Assistant too which looks pretty nifty and the ability to view shopping lists when you're in the kitchen. It is a speaker of course and will be able to stream music from the cloud letting you access songs, playlists, artists. You can use voice controls to start playing music and it'll match your preferences. It'll work with third party music services - including Spotify, Google Music, Pandora and (soon) TuneIn - letting you send music from your phone via Google Cast. What's nice is that you can search via Google and contextual clues e.g. "Play that Shakira song from Zootopia", not just the name of the song. As for podcasts, you can also ask via voice for the title. There's no word on Sonos controls yet - a feature which is coming to Amazon's Alexa platform next year. It's not just music streaming that gets the Home treatment. You can also tell the Home to play a YouTube video or show Google Photos images and the content will pop up on a TV nearby if you have a Chromecast plugged in. Netflix support for voice casting is coming soon too. If you have multiple Google Home speakers around the home, you can have multiroom audio on the cheap and the one that can hear you best will respond to you. The Google Home speaker is available for pre-order from today for $129 - that's $50 less than an Amazon Echo - and shipping/retail availability in Target, Best Buy etc on 4 November.